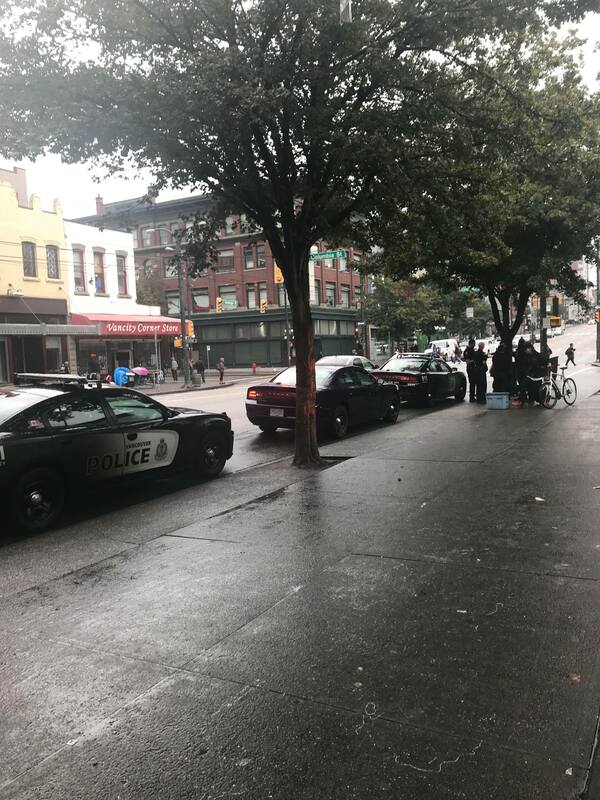 In our previous blog, we unpacked part of the public dialogue that has been taking place in Vancouver on street checks. In this blog, we wanted to detail some of the legal dimensions of what is and what is not a street check. What is important to remember is that there is a legal ‘balancing act’ when it comes to encounters with police. On one hand, you have fundamental rights and freedoms under the Canadian constitution. On the other hand, police have been granted broad powers by legislators and the courts. We’ll break down key aspects of this ‘balancing act’, and highlight how to know your rights if you are stopped by police. Where do the Police Get their Powers? In any conversation about policing policies and practices, it is important to understand where police get their powers. In British Columbia, police powers come from the Police Act and the common law (i.e. court cases). 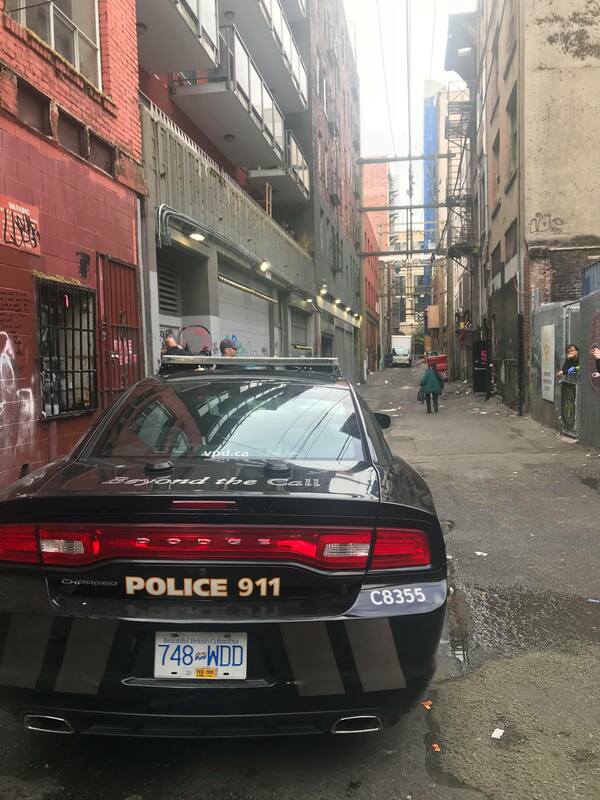 For the most part, police powers in Canada have evolved and expanded through precedents in the common law rather than through legislative changes. As stated above, there are several different types of police stops, and each one triggers different constitutional rights under the Charter of Rights and Freedoms (the “Charter”). One of the problems in discussing people’s rights with respect to street checks is that people use that term to mean different things. In this blog, we will break down what street checks and investigative detentions are, and highlight the key differences between these two types of policing. Typically a “street check” or “police stop” is a practice where police stop a person in public, question them, and record their personal information in a police database. A vehicle check stop is not a street check. Police have the legal authority to conduct vehicle check stops and to require the driver to produce a licence, certificate of ownership, and proof of insurance. In addition, police have the legal authority to question a driver about the mechanical condition of the vehicle. If you are stopped by police while driving a vehicle, you must provide police with your ID. Passengers in your vehicle are not required to identify themselves to police. One of the questions we are asked about street checks is, “Does a street check violate my constitutional rights?” The answer to this question is a bit complicated, but we will try to answer it below. The first is Section 7 of the Charter, which states that “[e]veryone has the right to life, liberty and security of the person and the right not to be deprived thereof except in accordance with the principles of fundamental justice.” This means that everyone has the right to walk down the street free from police interference, and that police shall not deprive a person of their liberty without the legal authority to do so. Another right under Section 7 is the right to silence (a.k.a. the right to remain silent). The right to silence is founded on a “principle of fundamental justice” that a person who may be deprived of their liberty by the state should not be compelled to provide the state with information that may incriminate them. The second is Section 8 of the Charter, which states that “[e]veryone has the right to be secure against unreasonable search or seizure.” While we will not delve deeply into the law of search and seizure in this blog series, it is important to note that the principle underlying this Charter right is that everyone has a right to a reasonable expectation of privacy, and that some police searches may violate that right. However, a search will not violate a person’s Section 8 rights if it is authorized by a reasonable law and carried out in a reasonable manner or is consented to. The third is Section 9 of the Charter, which states that “[e]veryone has the right not to be arbitrarily detained or imprisoned.” This means that police cannot detain or arrest a person without the legal authority to do so. An “arbitrary” detention or arrest is one that is carried out without legal authority under legislation or common law. The fourth and final right is Section 10(a) and (b) of the Charter. Section 10(a) states that “[e]veryone has the right on arrest or detention (a) to be informed of the reasons therefor.” This means that, on detention or arrest, police must tell a person, in clear and simple language, the reasons why they are being detained or arrested. Section 10(b) states that “[e]veryone has the right on arrest or detention (b) to retain and instruct counsel without delay and to be informed of that right.” This means that, on detention or arrest, police must tell a person that they have the right to speak to a lawyer and to be informed of that right. In the context of a street check, there are two competing interests. On one hand, a person’s right to liberty provides that they have the right to “do as they please”, absent a law to the contrary. On the other hand, police have powers under the common law to investigate crime and keep the peace, which may include the practice of stopping and questioning a person on the street (i.e. a street check). However, this power is limited. While police may stop and question a person on the street, that person has the right to walk away unless they are under arrest. Furthermore, that person has the right not to provide police with their identification unless they are under arrest or being ticketed. There is an important distinction between a street check and a “detention” under sections 9 and 10 of the Charter. A street check is not necessarily a “detention” under the Charter. The Supreme Court of Canada ruled that police cannot be said to “detain” every time an officer stops a person for purposes of identification or questioning. While a person who is stopped by police will be “detained” (i.e. “delayed” or “kept waiting”), their constitutional rights under sections 9 and 10 will not be engaged by a stop that involves “no significant physical or psychological restraint.” Simply put, a street check that involves no significant physical or psychological restraint will not violate a person’s constitutional rights. However, if there is significant physical or psychological restraint, a street check may transform into what is known as an “investigative detention”. Unlike in a street check, a person under investigative detention has rights under Section 10(a) and (b) of the Charter (i.e. the right to know the reasons for the detention and the right to speak to a lawyer and to be informed of that right) (See “What is an Investigative Detention?” below). A NOTE ON SEARCHES: In a street check, police do not have the right to search you or your belongings, unless you consent to a search. Police may search you if they have reasonable grounds to believe that you are carrying alcohol that may be used for an unlawful purpose (i.e. consumed in a public place), illegal drugs, or weapons. What to do if you are Street Checked? If you are stopped by police while on foot, questioned, and asked to identify yourself, you have the right not to answer questions or provide your ID. In certain circumstances, you may decide to provide police with your ID, and that is your decision to make. If you do not want to answer questions or provide your ID, say “Am I free to go?” If the police say “Yes”, you are free to go. If the police say “No”, you are being detained. If police ask to search you or your belongings, and you do not want them to, say “I do not consent to a search.” If you physically resist the police, you may be subject to charges such as obstruction or assault. Police have the power to detain a person for investigative purposes. However, the detention must be brief in duration. An “investigative detention” is type of police stop but is not a street check. However, there are circumstances where a street check may turn into an investigative detention. Detention under sections 9 and 10 of the Charter refers to circumstances where police curtail a person’s liberty by a significant physical or psychological restraint. If, for example, a police officer physically blocks you walking away, that is a physical restriction and you are being physically detained. For psychological detention, there may be no physical restriction on your movement, but the way that the officer is acting would lead a reasonable person to understand that that have no choice but to do what the officer says. A NOTE ON SEARCHES: In an investigative detention, police may do a pat‑down search for weapons (for safety of officers). However, searches that go beyond a pat‑down search for weapons may violate a person’s rights under Section 8 of the Charter. Just to be clear, if you are under investigative detention it is not typical for the police to tell you. The police will not say, “You are under investigative detention.” An investigative detention is established where there is significant physical or psychological restraint, which is specific to the circumstances of the police interaction. In the context of criminal charges, it is often the role of the court to look back at the circumstances of the police interaction to decide when whether there was significant physical or psychological restraint and whether an accused’s constitutional rights were violated. If you feel you are being detained by police, remember your right to silence. This is an important thing to remember. You can say, “I want to remain silent.” If you physically resist the police, you may be subject to charges such as obstruction or assault. the right to speak to a lawyer and to be informed of that right. With these rights in mind, stay tuned for our third blog next week on what a provincial policy addressing street checks could look like. Police Act, R.S.B.C. 1996, c. 367. See Dedman v. The Queen,  2 S.C.R. 2. James Stribopoulos, “A Failed Experiment? Investigative Detention: Ten Years Later” (2003). 41 Alta L Rev 335, at p. 341, abstract online: http://digitalcommons.osgoode.yorku.ca/scholarly_works/2314/. Stribopoulos,, ibid, at p. 341. See R. v. Mellenthin,  3 S.C.R. 615, at p. 622: In R. v. Hufsky,  1 S.C.R. 621, and R. v. Ladouceur,  1 S.C.R. 1257, it was determined that the detention of the motorist in a random check stop constituted an arbitrary detention which infringed s. 9 of the Charter. However, these decisions held that the random stops were justified pursuant to s. 1 as a means of combatting the grave and pressing problem arising from the death and injuries occasioned by the dangerous operation of vehicles on our highways. See R. v. Grant, 2009 SCC 32 [Grant], at para. 20. R. v. Mann, 2004 SCC 52 [Mann], at para. 15. Mann, supra, at para. 34. Next Post: Should there be a Provincial Policy on Street Checks?